"Hello darkness, my old friend, I've come to talk with you again"
Songs From St. Somewhere (this album) (2013). Sorry, no matches on eBay for "Too Drunk To Karaoke (Feat. 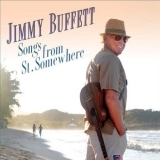 Toby Keith) Jimmy Buffett".